WHEN THE British colonised Australia in 1788, they restricted their settlements to the coast. As white colonies expanded into the interior, the authorities and settlers faced newer challenges: mountains, rivers, creeks and plains. The biggest challenge was the desert—about 18 per cent of the land area. Today, this area is known as ‘outback’, which can be traversed by roadways, railways and air. But back in those early years, it was among the most challenging areas to travel. Initially, horses, donkeys and oxen were used, which required water and fodder. But these animals could not survive in the desert for long. The colonisers then started looking for a pack animal that could do the job. Their solution: the camel. As early as in 1830, retired British official, T J Maslen, wrote: “Were a sufficient number of camels imported, an exploring party could, with very little risk, cross over the continent to King George the Third’s Sound.” In 1839, George Gawler, the governor of south Australia, also proposed the introduction of camels. 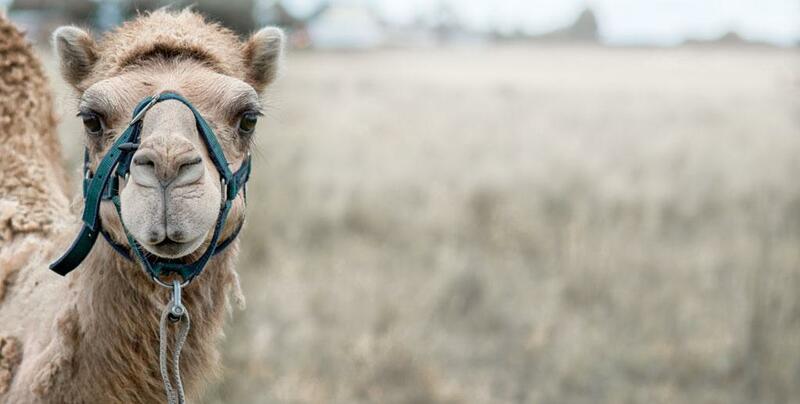 The first camel was Harry, a survivor from a group imported from the Canary Islands in 1840. Harry was used by the John Horrocks Expedition, which explored the west of Lake Torrens in south Australia in 1846. The expedition established the value of camels for exploration. By 1858, after explorer Benjamin Herschel Babbage found himself stranded near Lake Torrens with his horses, due to a drought, prominent citizens joined the chorus for the introduction of camels. In 1860, the first commercial shipment of 24 camels and three cameleers (camel drivers) from British India arrived in Melbourne to join the Burke and Wills expedition. By the late 1860s, most Australian states were importing camels and cameleers. It is estimated that between the 1860s and 1920s, 20,000 camels arrived in Australia along with 3,000-4,000 cameleers. By the end of the cameleer era in 1920s, only 200-300 cameleers remained in the country, while the rest went back to their home country. The cameleers were known as ‘Afghan’, though they hailed from both Afghanistan and British India (today’s Pakistan). All were Muslim and were middle- aged or young men. These cameleers and their camels did yeoman work for Australia. They carried food and supplies to the surveying and construction teams working on the Overland Telegraph Line, which cut across the heart of the continent between Adelaide and Darwin. Once the project was completed, they continued to carry supplies and mails to settlements and townships which had sprung up along the line. They also helped during the construction of rail links. For instance, the rail link between Port Augusta and Alice Springs, which was earlier known as The Afghan Express, and later rechristened as the Ghan. Today, this train runs between Adelaide and Darwin. They carried wool bales from sheep farmers inland to the ports. They even carried water to remote settlements. A camel “train” was formed by cameleers, who used to hold the rope tied to the nose-peg of the head camel. From there, the rope extended to the nose-peg of every camel in the chain. This was called a “string”. A string could have as many as 70 camels. Each animal would carry as much as 400- 600 kilogrammes of material, distributed evenly on both sides of its back. The cameleers charged the colonisers and local people in tonne/per mile. The deliveries were usually coordinated—cameleers would return loaded with material different from what they had carried in the onward journey. The cameleers took part in almost every expedition, and later, they were an integral part of scientific expeditions between 1860 and 1940. The cameleers also laid the foundation for a new culture on the continent. The cameleers were mostly single men and brought no women with them. They usually stayed for a period of three years. Some would return later, but the vast majority did not. Though admired for their skills, the cameleers were most often the target of white Australian racism. They usually lived on the fringes of towns in their own neighbourhoods. In fact, most Australian towns in this period had three demarcated areas: for whites, Aborigines and for the cameleers, which was often called a Ghantown. They encountered vicious hostility from white bullock cart drivers who had previously been the backbone of supply chains in Australia. Each Ghantown had a mosque, built with nothing but mud and tin, around which community life grew. Many cameleers entered into unions, mostly with Aboriginal women and sometimes with whites. The children of such unions were raised mostly Muslim, but as time passed, they were absorbed in mainstream Christian Anglo-Celtic culture. Some cameleers went on to become entrepreneurs, while others branched out into other professions, including herbalists, miners as well as hawkers. By the 1920s, automobiles heralded the end of the cameleer era. But there were other reasons too for their disappearance. After the Commonwealth of Australia came in place in 1901, negative sentiments among white Australians towards “coloured” races surfaced. This manifested itself in the Immigration Restriction Act, 1901, under which would-be immigrants were required to take a dictation test in English. This act would later form the basis of the nowinfamous "White Australia Policy". Such measures triggered the end of the cameleer era. Most of them returned to their home country. The few who remained, lived out their days in the Ghantowns, neglected and ignored. Rather than killing their faithful camels, they released them into the wild, where they flourished. Australia today has the largest feral camel population in the world. The country would not see Afghan immigrants till the Soviet- Afghan war of 1979. Today, the cameleers are long gone but their legacy remains. In the crumbling ruins of Ghantowns in the country’s interior, the Ghan runs every week from coast to coast traversing through date palm groves which were first planted by the cameleers. Their memory is once again being revived so that Australians can realise their important contribution in building their nation.